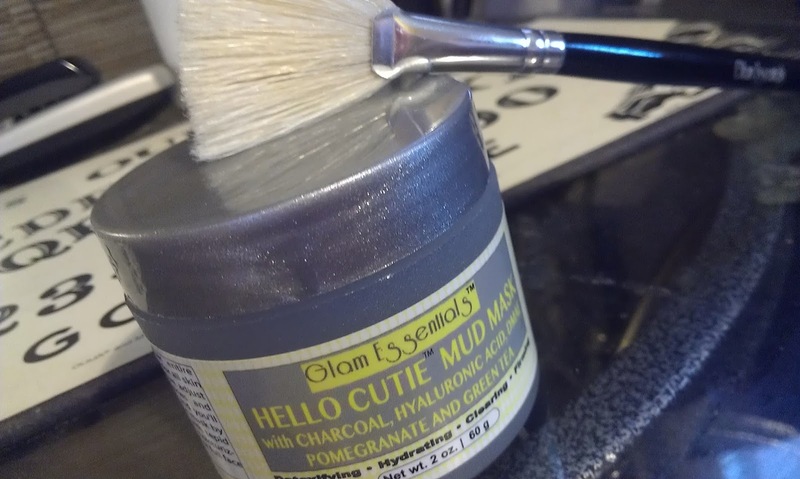 I am loving this Hello Cutie Mud Mask by Glam Essentials. 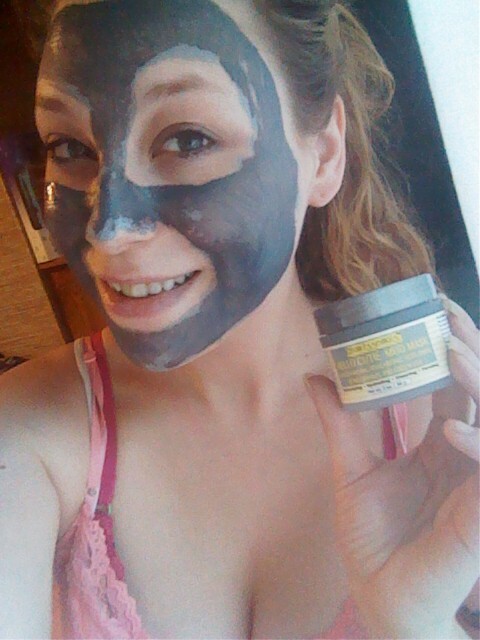 I know I've talked a lot about my nightly and daily routine to keep my skin looking and feeling healthy, and I have to say, although facial masks are part of my routine at least once a week (usually on Sundays as I' scheduling posts and what-not), I have never used a mud mask. It comes in a cute sparkly jar and even came with an applicator brush that, to me, felt just like a fanned paint brush. It's not as soft as a fanned cosmetic brush, but I really think the stiffness of the bristles helps with application. I don't know what I was expecting when I opened the jar (green maybe) but I definitely didn't expect it to be gray! The facial mask I had formerly used is just a clear gel like consistency and this is more the consistency of paint. The smell isn't too terrible, so that was a plus and it was actually pretty fun to paint on, to be honest! When applying, make sure you stay away from your eye area and hair line. Of course, you don't have to do your entire face, but if you want to, that's fine, too. 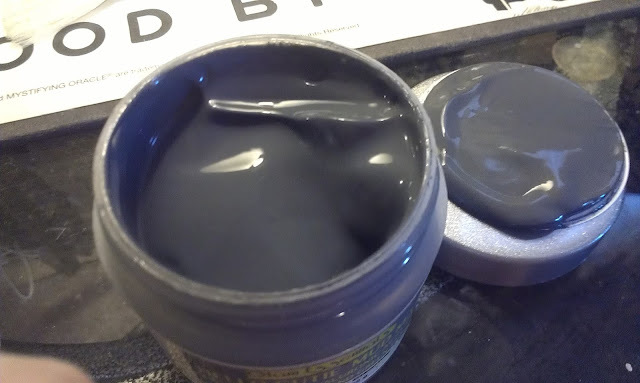 As it dries, you'll see it fade to a lighter gray and you'll also see if soaking down into your pores. I swear I saw pores where they had never been visible before, especially on my nose. It hardens as it dries, but not to the point where if you move you feel like your face is going to crack and fall apart like a porcelain doll. I have a strong dislike for masks that get so hard you can't move your face. So this was definitely a plus for me. After about 15 minutes you wash it off with warm water. You'll see how much smoother and cleaner your skin is almost immediately. I then put on my toner and serums as usual. Absolutely loving this stuff! You can win a jar, too!